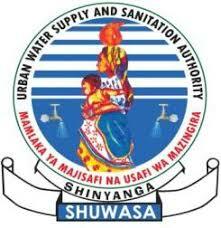 Shinyanga Urban Water Supply and Sanitation Authority (SHUWASA) is an Autonomous Utility which was established under section 3(1) of Cap. 272 of 1997 as reviewed by section 60 of the Water Supply and Sanitation Act No. 12 of 2009. SHUWASA is charged with the overall responsibility of operations and management of portable clean water supply and sanitation services within Shinyanga municipality. SHUWASA performs its duties under the supervision of the Executive Board of Directors with functions and responsibilities well stipulated in the Water Works Ordinance and Memorandum of Understanding (MoU) between the Ministry of Water and SHUWASA. Competitive remuneration packages will be offered to the successful candidates basing on proven good track of records, qualifications, experience, and interpersonal skills. Send a signed application letter with an update and detailed personal Curriculum Vitae showing age, present employer and position, current salary and other benefits, daytime working telephone number, and names and contact addresses of three referees. Application duly adhered on the above-mentioned items should be received on or before 26th November, 2018. Only candidates meeting the minimum requirements will be contacted. If you have not heard from us within one month after the closing date, kindly assume that your application was not successful.